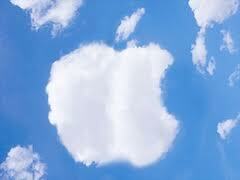 Apple plans to reset iCloud backup data: iOS 5? This Sunday Apple has posted an announcement to their developers as a warning that they are going to reset the iCloud Backup data. This warning was for the existing users of the beta build of iOS 5 and MAC OS X. This reset of the server is scheduled for Thursday, September 22 and the backup will be unavailable from 9AM PDT - 5 PM PDT according to a report by 9to5Mac. Any attempt to backup or restore during this particular time will not be successful and the user will receive an alert saying the backup or restore was not successful. However after this reset, the users will again be able to restore from any backup created prior to September 22. Even a full backup will take place automatically the next time the users’ device back up to iCloud. The cloud-based services are under testing by iOS and Mac OS X developers since June this year and are currently in its tenth beta. The company is all geared up to launch iOS 5, along with iCloud by this fall. > Notebook / Laptop Reviews and News > News > News Archive > Newsarchive 2011 09 > Apple plans to reset iCloud backup data: iOS 5?